With the accelerated development of urban construction,LED-HERO transparent display with its light, no steel structure, easy installation and maintenance, good performance characteristics of transparent glass curtain wall, and it is applied to the glass curtain wall not only hit it off, there is no sense of violation and more, because of its fashion, beautiful, and full of modern technology, to the city building has added a special beauty. Therefore, LED transparent display in the market to win everyone's unanimous recognition, has been widespread concern and favorable. Insiders said that LED transparent screen as an emerging market, although its market has not yet fully open, but it will be a incremental market, its market potential is limitless. 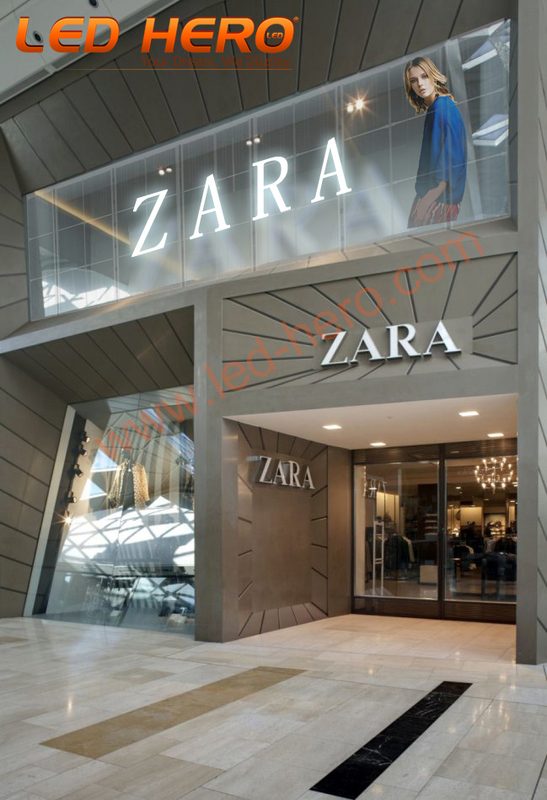 Now no matter it is commercial complex, shopping malls, 4S shops, windows and other places with glass, LED transparent screen is the existence of the market. Such as building lighting engineering may be replaced by LED transparent display, and the number of such projects is still increasing, so LED transparent display market is unlimited. In addition,compared with the traditional led display,transparent led screen has its own characteristics. First of all, LED transparent display as a new display technology, the biggest feature is transparent, it has 70% to 90% of the transparent rate,outstanding appearance, less influence on the original appearance of the building. When using the LED transparent screen for advertising content, the rest does not emit light, but only to play the content show, this play method can also reduce light pollution and energy consumption.Also in line with our advocacy of energy-saving theme, in response to the call of national energy-saving emission reduction. Secondly, the LED transparent screen is also easy to assemble and debug, you can directly used both hands to fix module quickly and easily on the bracket, you can also customize the installation. The groove design behind the module makes the connection more convenient. Again, it is light and easy to transport, including all the structure and power, the weight per square meter and only half of the traditional screen. Thin features not only make the screen look compact, but also can save transportation and storage costs. Finally, The transparent led display also has easy to maintain and update features. If a lamp broken, no need to replace the entire module, just replace a light stripe. Maintenance in the room to complete, high efficiency, low cost. LED transparent display has so many advantages in the future occupy a huge market space is also reasonable. Although the LED transparent display more and more close to the public aesthetic requirements, with many advantages, but as a new display technology, to make it prevalent in the market, there are still many problems to be solved. Such as the current LED transparent screen is only a semi-outdoor products, need to be installed in the back of the glass wall; Second, LED transparent screen rain, dust, sunscreen features need to strengthen; Finally, now, LED transparent screen The cost is still high, if the cost reduction in the market have a more reasonable price, the market space will be further expanded. In summary, with the accelerated pace of urban construction, people on the fashion, beautiful, modern and increasingly high demand, LED transparent display is more and more popular . Many advantages of its own transparency, also is to meet the requirements of the consumers.Finally,if the manufacturers will solve the current LED transparent screen the existence of outdoor three problems, the market space limit will not be a dream.